Mixed reactions have trailed the recent video trending on social media in which the number one citizen of the Pace Setter State was seen lambasting those who didn’t stand up to greet him at a public function. SecretReporters gathered that in his usual manner “Mr Constituted Authority” of Oyo State in what could be termed as a pompous display of power at the “Night of Awards” organized by the Ibadan Recreation Club, Sabo to honour distinguished persons in the society without hesitation vetted his anger over the purported “Executive Insult”. The event which was scheduled to start at about 5:30 pm we learnt later kicked off at about 8:00 pm because the organizers were waiting for the Governor who was a distinguished guest on the list at the occasion, this must have angered some top dignitaries and others who had to idle away their time for close to two hours while waiting for the Governor. 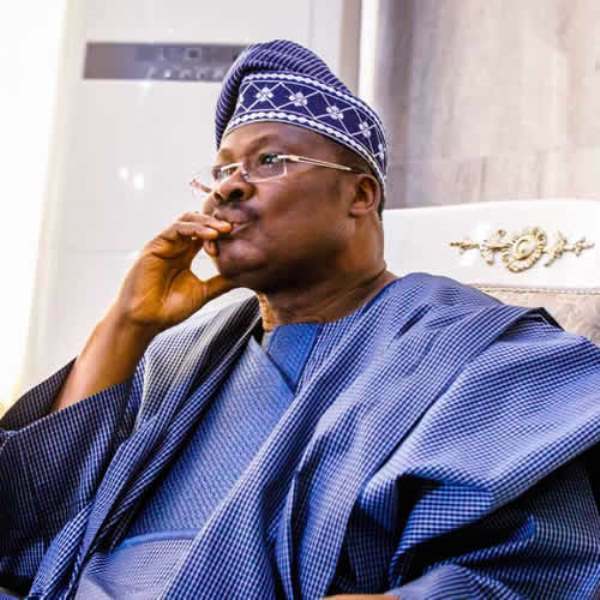 Surprisingly, in the video, an obviously angry Ajimobi was heard saying: “I didn’t come here as governor Ajimobi; I am governor of Oyo State. Everybody, including those who are older and more accomplished than I am stood up to greet me. I noticed about four people, who are nobody, sitting down”. According to the governor, he felt that not only was he insulted but his office as the number one citizen of the state “Governor” was disrespected by people whom he termed to be jobless and nobody in the society. “Even if a person who is younger than you is in a position of power, we need to respect him or her. What I noticed in those who didn’t stand up to greet us was either out of ignorance or…I don’t want to abuse anybody because I have been accused of doing that. It is not the person that you respect, it is the office. Among those who didn’t stand to greet me are people without job,” he added. Alongside Mr Constituted Authority at the event were also the governorship candidates in the upcoming March 2nd, 2019 election, the wife of Ondo Governor, Mrs Betty Akeredolu as well as a former governorship aspirant in Ekiti, Chief Reuben Famuyibo, a multi-billionaire who has businesses in Ibadan and other top society people. Though nobody can say for sure who the outgoing governor was actually angry with, however, sources close him, disclosed that his actions were a norm as this was not the first time he has publicly expressed his anger over words or actions directly or indirectly targeted at him by citizens of his state.